Hey sweeties! In my quest to increase the versatility of my blog I was racking my head for what kind of post I should do. 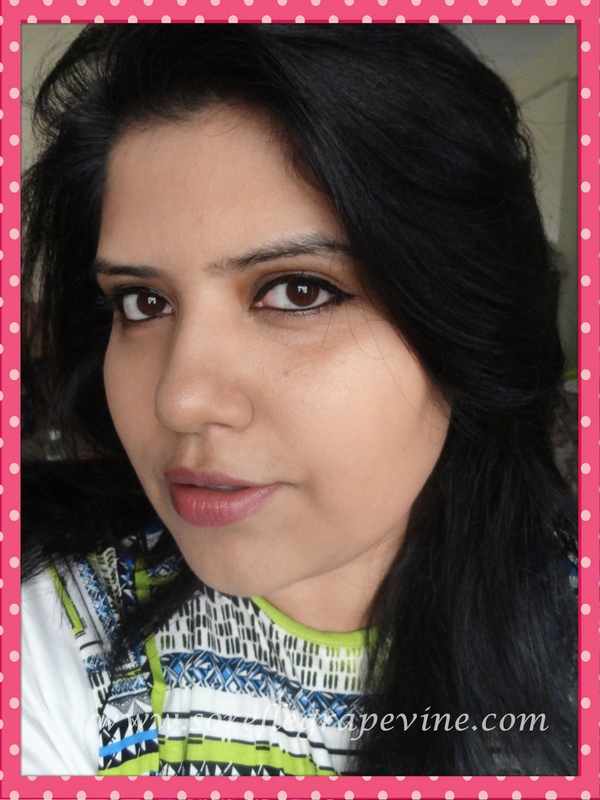 While going through certain comments and blogs online I realized that one area of makeup that piques everyone’s interest but causes unending doubt is face contouring I have seen so my vids and pics and what not on how to contour…..some of it makes your head spin!! And all that play with light and dark foundation can go real bad real fast. 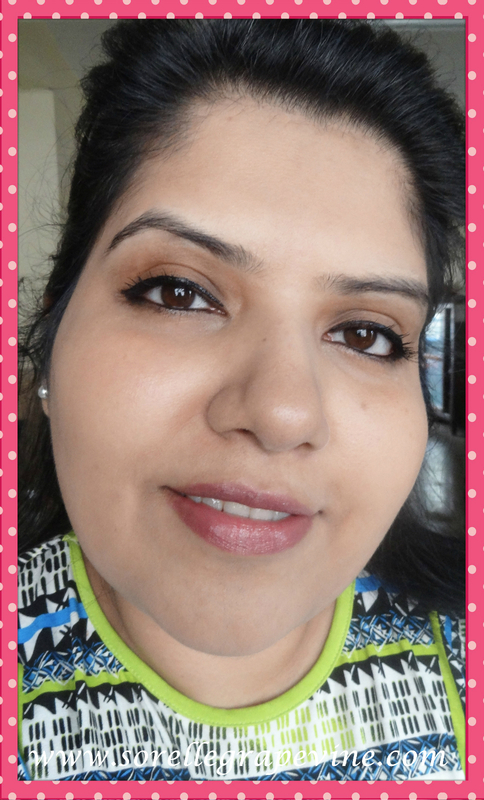 I have a heavy face so contouring is something that I feel I need especially not to feel conscious about my face. My biggest dilemma was that I knew how to use darker shades for the evening and get away with it but how to pull it off for the day without it looking OTT. I really didn’t want to go down the tedious using 2 color foundation, mix match, blend blend routine which frankly I feel someone can pull off only for pics or events …I highly doubt one can walk down the streets like that. One could….but I doubt I could have pulled it off. So when I went in for my MAC lesson 2 years back this was my main question for the MUA. And this is what I learned. 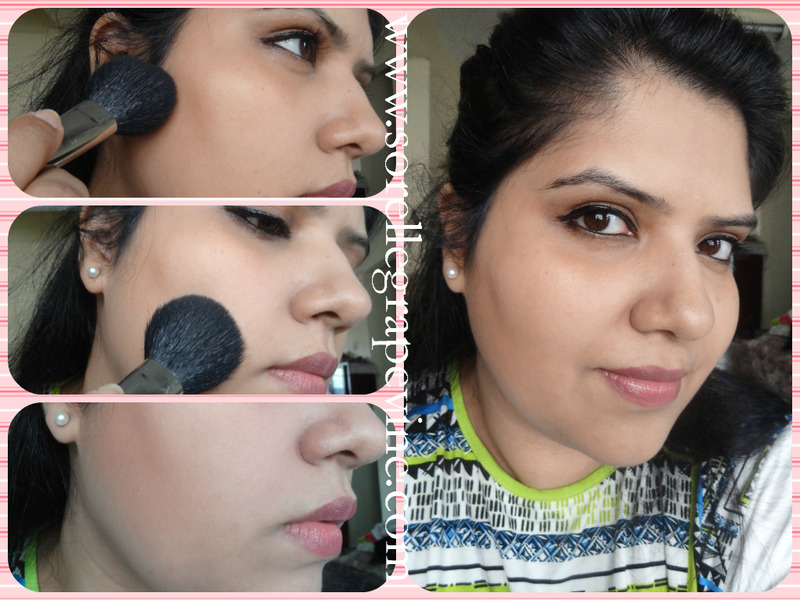 A very simple basic way to do your face contouring…..Lets get started…. The areas that I will need to contour are – area below the cheek bone, side of the face, temples, sides of nose and my main area of concern the chin (or (or double chin). I’m creating a collage of the pics so that this post is not so pic heavy. Please click on each picture to see the enlarged version. If you need any clarification please don’t hesitate to ask or if some pic is still not clear even on enlarging then do let me know and I will add the full sized pics sans the collage. Areas to be contoured. Click on pic to enlarge. I will be using MAC Mineralize Skinfinish Natural in Medium Deep for contouring along with the MAC 129 brush and Inglot 6SS for the nose. Apart from this I’ll be using the MAC Ripe Peach blush and the highlighting powder from the Revlon PhotoReady Sculpting Blush palette in Peach. 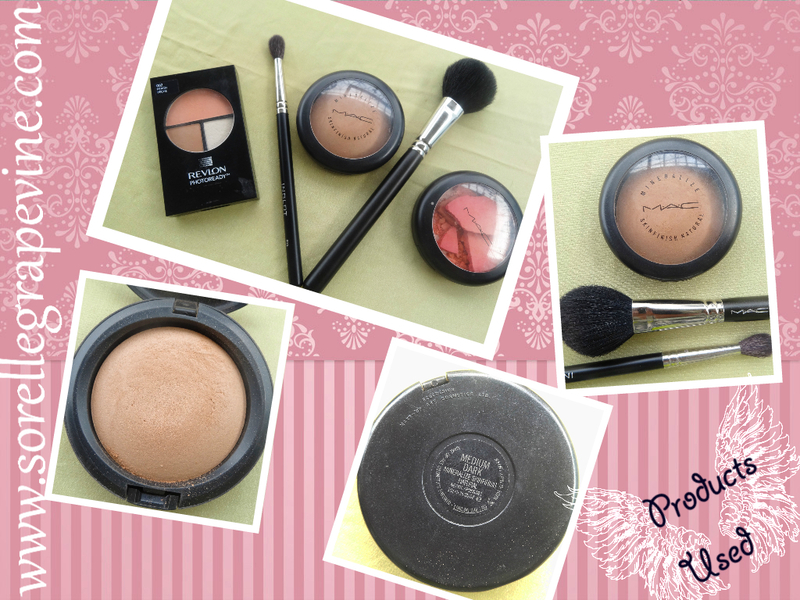 Products used for contouring. Click pic to enlarge. I start by contouring the sides of my face first ie the cheeks. Taking some of the Mineralize powder on the 129 I start from near my ear and bring it across in a diagonal line stopping just below the point that falls near the outer edge of my eye. I do this in a back and forth motion till I achieve my desired look. Next come the sides ie the area next to your ear and down towards your jaw. I curve it under the jaw in the end. Pull long strokes with the blush. I try to cover a little area just below the ear as well coz I feel that it gives my face a better finish. You should experiment and see how it works for your face type. I then move to the area under my chin. I try to cover the entire area on the underside of the chin (not the neck) from ear tip to ear tip. This is usually the heaviest area so you need to judge how much you need to hide so that it suits your face. Then come the temples. The reason this area is done is coz it helps to define the cheek bones better. 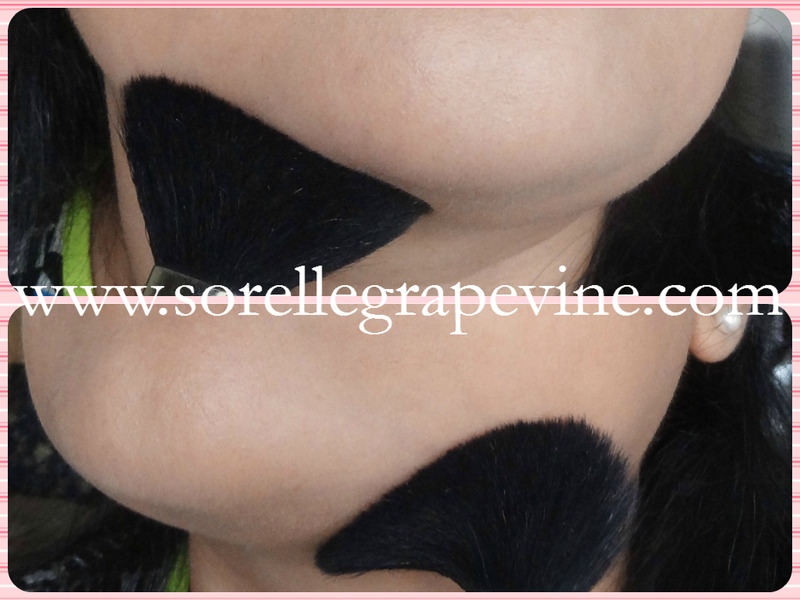 The top of the sides get some shadow added to it thereby adding some narrowness to your face and giving definition to the outer point of your cheek bone. 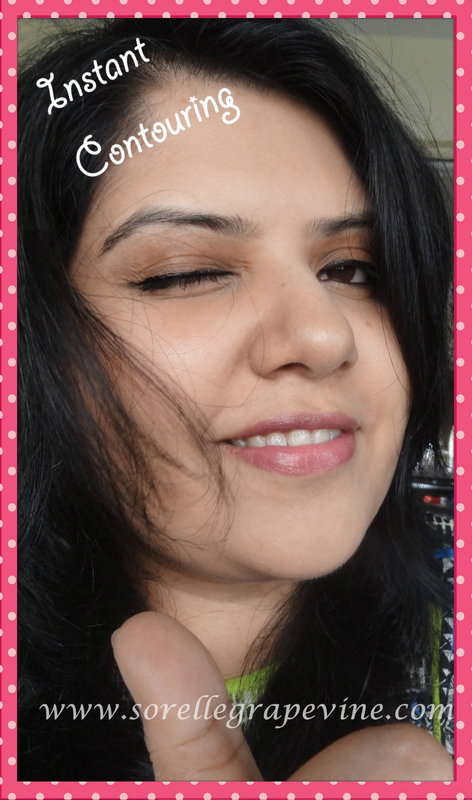 Start from the temple at a point just outside your iris and move down curving slightly below your cheek bone. Now if only all of us could be born with an Aquiline nose 😛 But what you were not born with you can fake it (sort of). This I learnt by watching Marlena from Makeup Geek. 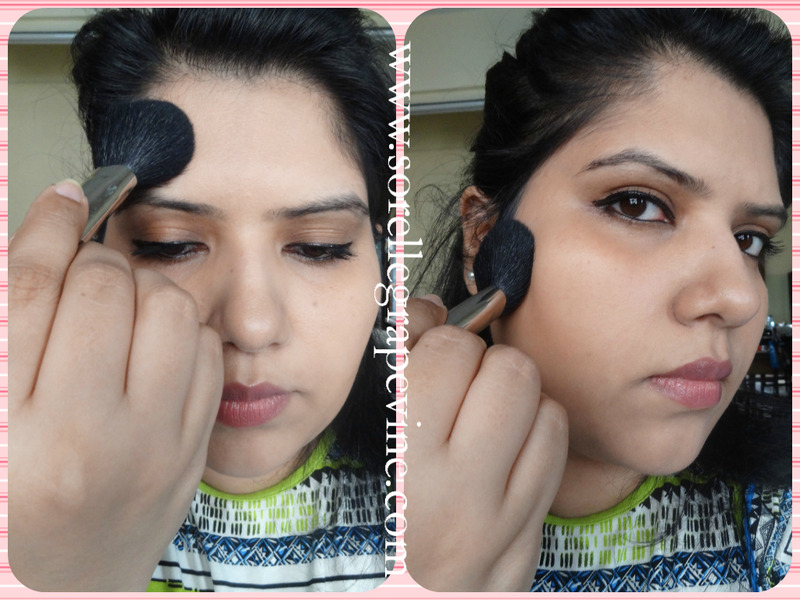 For this we will switch to the Inglot 6SS brush. 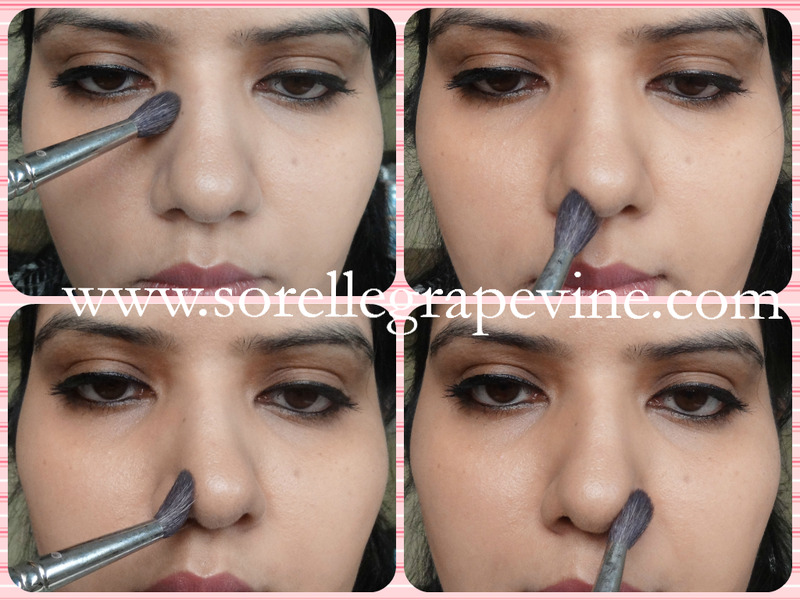 Take some powder and start on your nose right where the eyebrow starts and pull a straight line till the end of the nose. 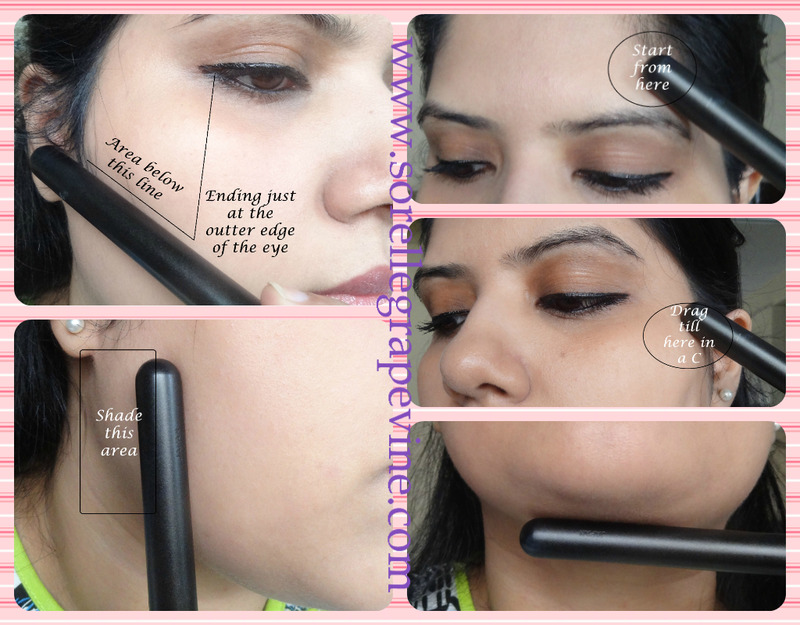 Blend the line towards the outer side ie towards the cheek. Do the same on the other side. Now we will make a V shape at the tip of the nose to give it a better definition. 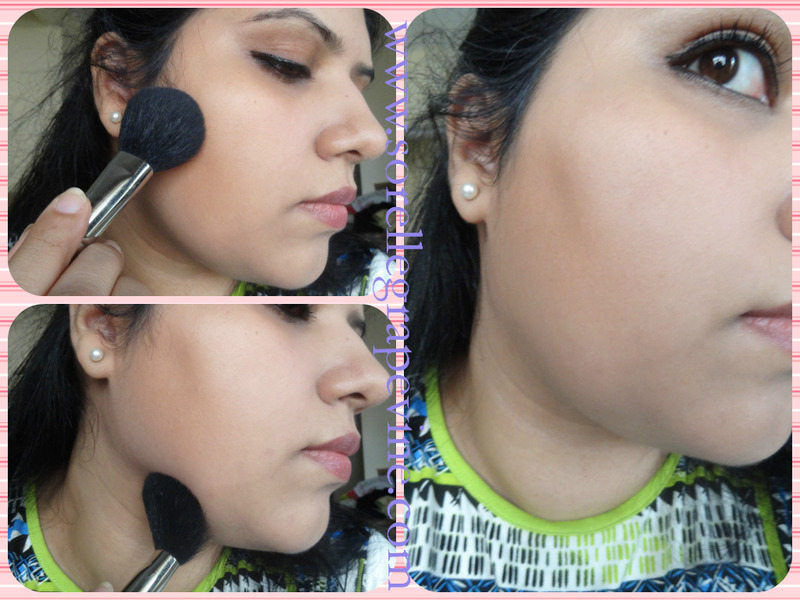 Now add the blush in the same diagonal line just above where you contoured the cheek. 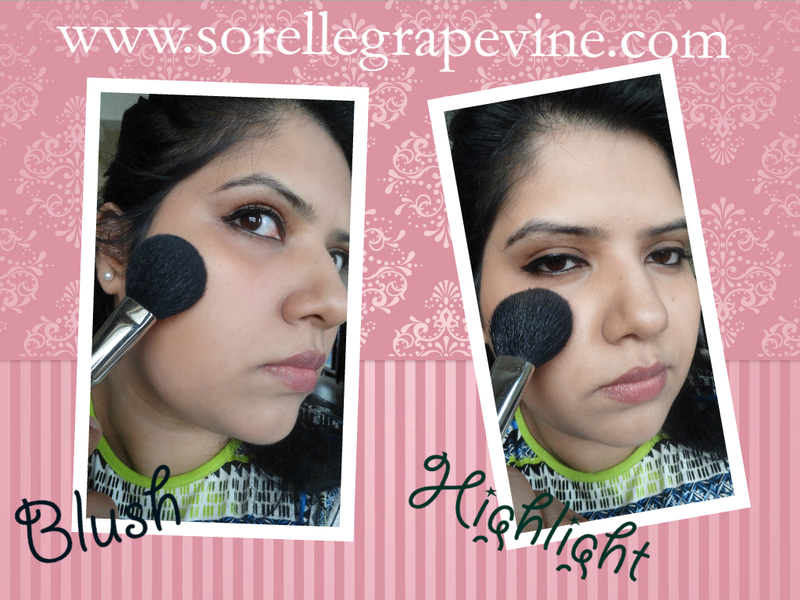 Finish the look by adding a little highlighting powder at the highest point of your cheekbone just below the eye. 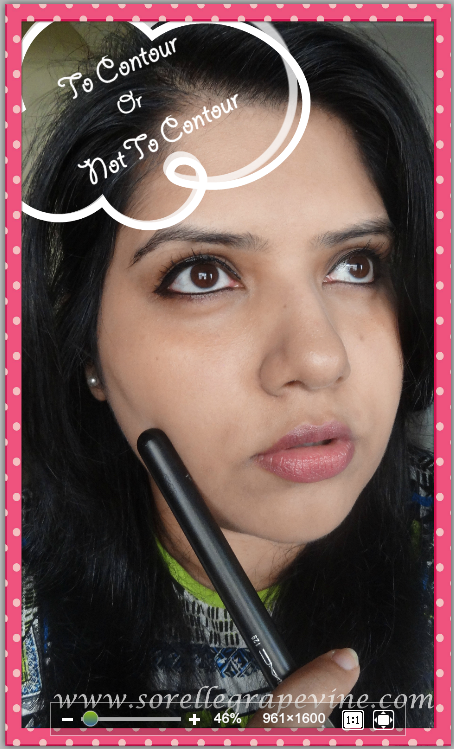 Sweep it out a little in a diagonal line towards the end of your brow. Some people add highlighting powder at other high points of the face but I choose not to do so just to keep the look a little “subtle”. You can try those out and if you like the look then go for it. There is the finished look! Phew!! That was a huge tutorial. I hope you guys liked it and was of some use to you. 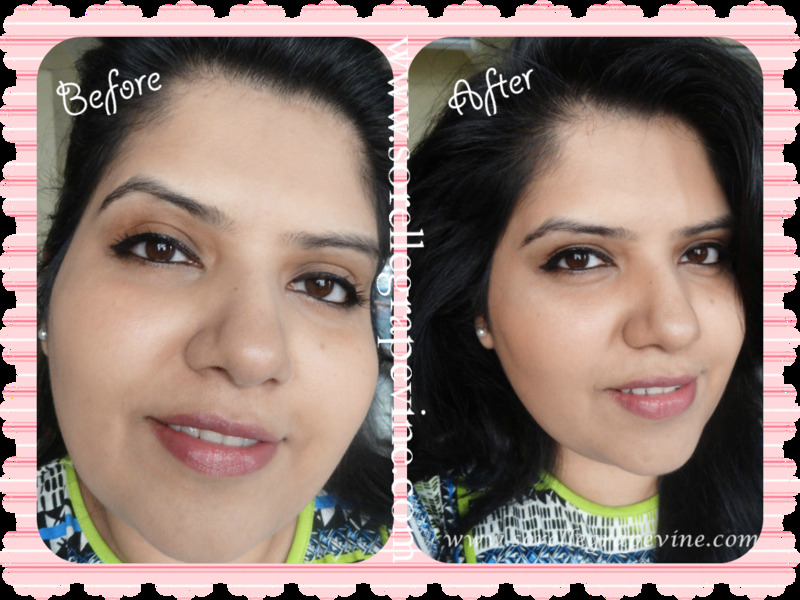 There are many theories and concepts behind face contouring. This is a very basic and easy to do method. It will help you to understand the play of light and dark on your face and how it can effect your look. Once you have that understanding tucked in your belt you can try out more complex ways to do the same. I do want to try my hand at using the two colors of foundation. Lets see how that will turn for me. That wraps up this tutorial. Do let me know what you think about it as well as the little touches. I will be seeing you around. Take care! Bye! !